Research and Development | PETROF, spol. s r.o. PETROF is traditionally regarded as an innovator in the production of acoustic pianos. In 1954 we set up the Department of Research and Development, which still exists today. Thanks to the methodical application of its specialists and the collaboration of other technological staff, we can boast an array of awards and patents. 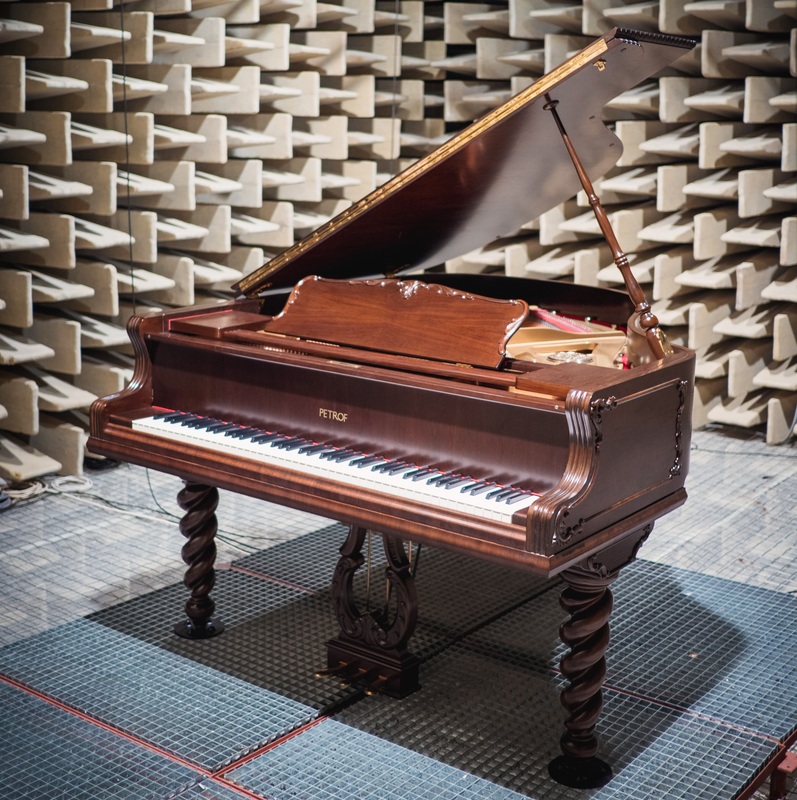 Our areas of interest, apart from the musical acoustics of pianos, include vibrations, signal analysis, evaluation of the attributes of wood and metal, development of special measuring techniques, and the like. At the beginning of 1994 one of the first anechoic chambers in the Czech Republic was opened on PETROF’s premises for the purpose of research. It is mainly used for acoustic measurement with the aim of achieving perfect sound quality for our instruments. The chamber not only serves for measuring the acoustic properties of grand and upright pianos - we also offer it for hire. If you wish to test whether your products meet with your acoustic parameters, do not hesitate to get in touch. The inner parts of the anechoic chamber consist of a ferroconcrete monolith, whose walls are 30cm thick. The monolith is mounted on springs and its weight including 4,180 absorptive wedges fluctuates around 300 tonnes. As it lies on flexible suspension, the resonance frequency of the chamber is approximately 5.5 Hz. An integral part of our research activities is the environmental test chambers or “feutrons”. 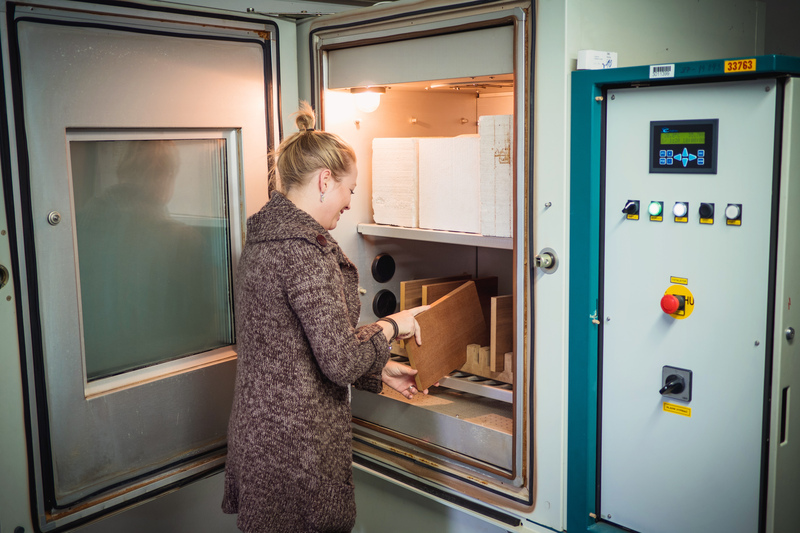 We use them mainly to check quality by conducting environmental tests where attention is focused on the influence of climate on the material properties of wood, surface finishes and the firmness of glued joints. 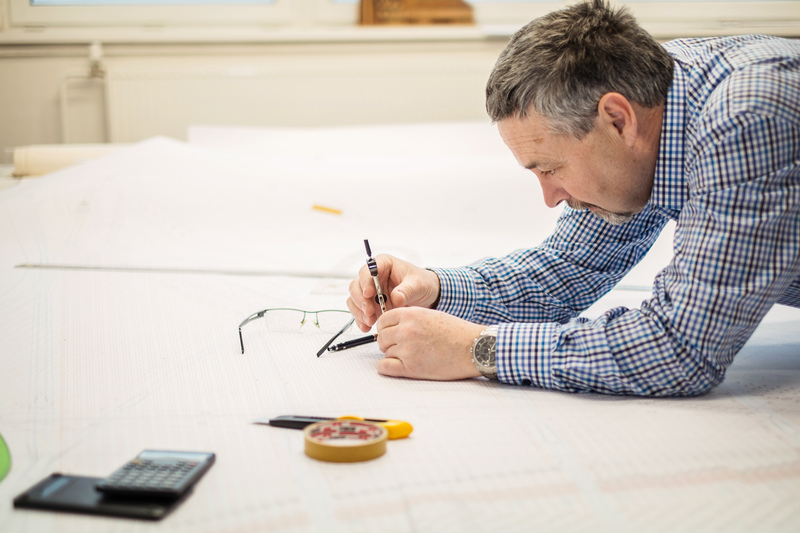 Every material used in making our pianos is subjected to very rigorous quality checks. These are carried out in the feutron, which is capable of exposing them to extreme conditions, simulate stress-inducing levels of temperature and humidity, or speed up the process of aging in materials.